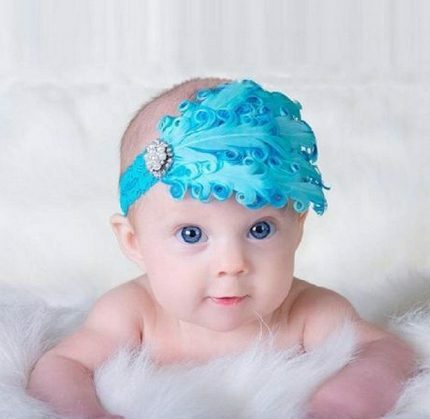 Blue Feather Baby Headband Only $2.79 SHIPPED! You are here: Home / Great Deals / Amazon Deals / Blue Feather Baby Headband Only $2.79 SHIPPED! I have a fabulous deal for all of you who have or are expecting a baby girl – this super cute Blue Feather Baby Headband is just $2.79 SHIPPED! How pretty is this?? I wish I had gotten my daughter headbands like this for her photo shoots when she was a baby! Stylish and cute baby headband making your lovely princess and prince stand out . It’s soft and stretchy , the special design will make your baby look unique , cute and charmed .